First City Monument Bank Plc (FCMB) and Netherlands based Medical Credit Fund (MCF) have signed a partnership agreement to provide affordable loans to Nigerian private primary healthcare providers. The loans provision under the MCF program are provided on affordable terms and come combined with a comprehensive technical assistance package, which allows the healthcare providers to improve clinical quality of their services whilst strengthening their business models. The partnership is targeting lower tier healthcare suppliers throughout the country. Technical assistance for medical quality and business improvement will be provided through the Hygeia Foundation, the Nigerian implementation partner of the MCF. Hygeia Foundation’s focus on expanding both clinical and non-clinical skills for healthcare professionals in addition to Hygeia’s variety of health plans for communities, SMEs and Corporates are excellent platforms for ensuring that the benefits of this partnership impacts on as many Nigerians. Established in 1982, FCMB has emerged as one of the leading financial services institutions in Nigeria, a top 10 bank with subsidiaries that are market leaders in their respective segments. The Bank is continuously growing with roughly 1,800 employees, 133 branches and cash-centers spread across every state of the Federal Republic of Nigeria and a presence in the United Kingdom (through its FSA-authorized investment banking subsidiary, FCMB UK) and a representative office in the Republic of South Africa. FCMB’s merger with FINBANK is getting closer to completion. The combined bank will lead to a bigger and stronger financial institution, with proven corporate banking capabilities, strengthened commercial banking business and a robust platform for retail growth. The merged entity will also benefit from complementary transactional banking platforms and offerings. During the course of 2011, FCMB achieved the International Organization for Standardization NIS ISO – 9001:2008 certifications for its Quality Management System (QMS) and operating processes. This certification which marked FCMB as the third bank in Nigeria to achieve NIS ISO 9001: 2008 certification is also a reaffirmation of the bank’s conformity with the requirements of ISO 9001: 2008 standards. 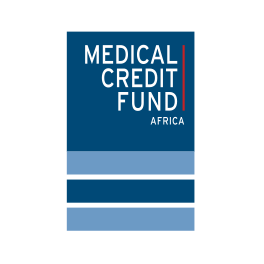 The Medical Credit Fund’s primary objective is to enhance the provision of and access to quality health care services for low-income Africans. To achieve this objective, the Fund aims to reduce the unknown risks of investing in primary health care, leading to increased transparency and trust so that the lower end of the health market becomes financeable and scalable. 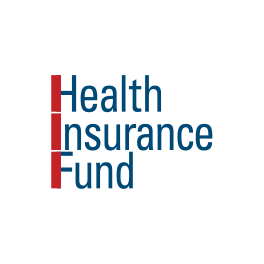 The Fund facilitates access to loans to private primary health care providers that serve low-income groups through local financial institutions. 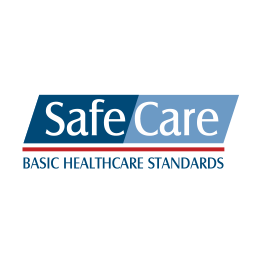 This finance program is combined with internationally certified clinical (SafeCare) and business technical assistance programs. The loans and technical assistance will be used to improve the quality of the health clinics, which will lead to expanded and improved health care services for more people. The MCF is an initiative of PharmAccess International, a Dutch not-for-profit organization, dedicated to improving health in Africa through pioneering innovative approaches. In November 2010, the Fund won the G-20 SME Finance Challenge award and also received the public vote. The Fund is currently being expanded significantly and over the next 7 years aims to provide 3500 small to medium sized loans to health care facilities in 6 countries. 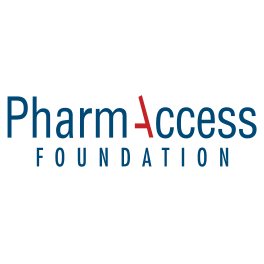 PharmAccess works closely with public and private financiers for the benefit of doctors and patients through insurance (Health Insurance Fund), loans to doctors (Medical Credit Fund), clinical standards (SafeCare), private investments (Investment Fund for Health in Africa) and operational research (Amsterdam Institute for Global Health and Development). Together, this group of organizations serves the purpose of making good health care accessible to everyone in Africa.